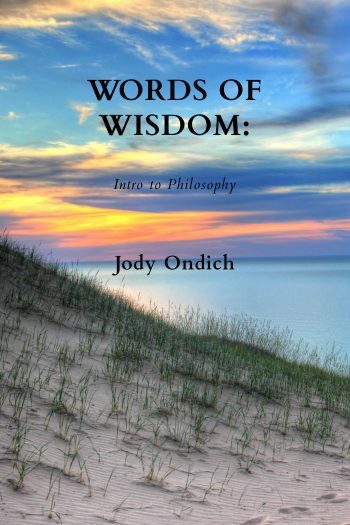 Book Description: Words of Wisdom can come from anyone. In this text we discuss topics ranging from "Are Humans good by nature?" to "Is there a God?" to "Do I have the right to my own opinion?" Philosophy is the study of wisdom, and can emerge in our conversations in places like social media, in school, around the family dinner table, and even in the car. The text uses materials that are 2,500 years old, and materials that were in the news this year. Wise people come in all shapes and types, and from every culture on earth. We have poetry and folktales, sacred writings and letters. Dialogues and interviews, news columns, podcasts, Ted Talks, You Tube recordings and even comedy are all a part of the content in this text.You will be most successful using this collection this on line. The formatting in the downloadable versions is not wonderful. There is work being done to fix this reality but in the meantime, you will probably want to use it by clicking here on "read book:". 2. Excerpts from Aristotle's "Metaphysics"
3. Plato's "Allegory of the Cave"
12. Machiavelli: excerpts from "The Prince"
27. Maimonides' "Guide for the Perplexed"
Words of Wisdom: Intro to Philosophy by Jody L Ondich is licensed under a Creative Commons Attribution-NonCommercial-ShareAlike 4.0 International License, except where otherwise noted.